Founded by Tsar Peter the Great on May 27, 1703 to be his "window to Europe", it was capital of the Russian Empire for more than two hundred years (1712-1728, 1732-1918). 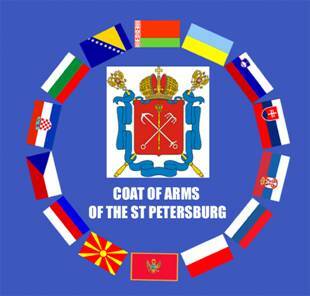 St. Petersburg ceased being the capital in 1918 after the Russian Revolution of 1917. It is Russia's second largest and Europe's third largest city (by city limit) after Moscow and London. At latitude 59°56′N, Saint Petersburg is the world's largest city north of Moscow (55°45′N). 4.6 million people live in the city, and over 6 million people in the city with its vicinity. Saint Petersburg is a major European cultural center, and important Russian port on the Baltic Sea. The city, as federal subject, has a total area of 1439 square km. 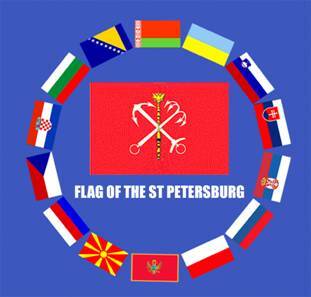 St. Petersburg enjoys the image of being the most European city of Russia. 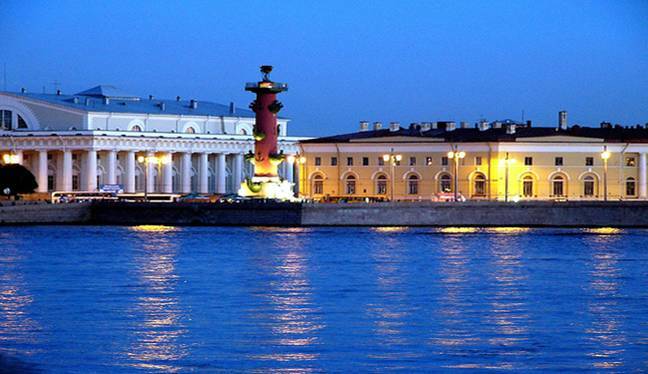 Among cities of the world with over one million people, Saint Petersburg is the northernmost. The historic center of St. Petersburg is a UNESCO World Heritage Site. Russia's political and cultural center for 200 years, the city is impressive, and is sometimes referred to in Russia as "the Northern Capital" (северная столица, severnaya stolitsa). Although the phenomenon known as the "White Nights" is not unique to St Petersburg, in no other northern city have they received such poetic and literary acclaim. What could be more romantic than a walk along the banks of the city’s rivers and canals in almost broad daylight, no matter what the time of day? No other major European city can rival this experience nor the atmosphere on the streets of St. Petersburg during the summer months – lively, friendly, romantic and bustling with people throughout the night as well as the day! From late May to early July the nights are bright in St Petersburg, with the brightest period, the White Nights, normally lasting from June 11th to July 2nd. The White Nights (Beliye Nochi) are a curious phenomenon caused by St. Petersburg’s very northerly geographical location - at 59 degrees 57' North (roughly on the same latitude as Oslo, Norway, the southern tip of Greenland and Seward, Alaska). St. Petersburg is the world's most northern city with a population over 1 million, and its stands at such a high latitude that the sun does not descend below the horizon enough for the sky to grow dark. In fact night becomes curiously indistinguishable from day, so much so that the authorities never need to turn the city’s streetlights on!